We’ve dreamed of living on a sailboat for almost a decade and now we’re right on the cusp of making it a reality. Jason and I believe we make our own destiny…in the sense that we can’t just sit back and hope our dreams will magically come true. You’ve probably seen the quote, “Dreams only work if you do” and I think it’s oh so true. Which is why we’re jumping in with both feet! We also believe in leaving the door open for serendipity, and that’s where we are right now: at the crossroads of serendipity and making dreams. The day we looked at the almost perfect catamaran the owner, John, was there to greet us. We quickly chatted about our desire to live on a boat, our minimal experience sailing and our eagerness to learn. He invited us to stay a while over a glass of wine but we had other appointments, so we asked for a rain check. A couple of days later, we went back to continue the conversations. We soaked up Johns stories of sailing, living on a boat with his wife and two fur babies and his tales of close calls out on the water. The next day was the day we met up with our friend Sheldon for our first crewing experience. John quickly looked up the weather conditions and warned us it was going to be a rough trip as the wind was not in our favor (that should have been our first clue). So, he said he expected updates while we were out to sea. And oh, how thankful we were we made a new friend that day. What a world of difference! Talk about back to back, night and day experiences. A prepared captain, a well maintained boat and proper planning…this is the sailing sweet life I was yearning for! It was another experience filled with valuable lessons but in a laid back, no drama way. Soooo much more enjoyable. Captain John took the time to show us his way of sailing from start to finish. We used his favorite website WindGURU to find the best weather days to sail, we downloaded an app called tides near me, we looked at options for anchorages along the way, set up a route and waypoints through the navigation gear, prepared the vessel for departure, started the motors, threw up the sails, anchored out, slept like babies and then we got to do it all over again on day two. Our trip did have one small hiccup! Halfway through motoring into our first anchorage we had to shut down an engine due to overheating. John claimed “I promise this has never happened before.” Thankfully he had plenty of spare parts on board, so we replaced the impeller and shortened the hose because one of the metal hose clamps had dug a pinhole into the plastic tubing causing the impeller to overheat and fall apart. We were not turned off by this issue in the least bit. Together we diagnosed the issue and made the repair in about 20 minutes. We understand no matter how well maintained a vessel might be, there will always be issues to deal with. We’re ready for the challenge and the mechanical adventure that comes along with it. Just before we hopped on the first boat in St. Augustine we put down an offer on John’s Leopard 43. I’m guessing that’s one of the reason’s John was eager to pick us up and take us sailing on his cat. There are still a lot of steps before it’s a done deal and plenty of places the deal can fall through in-between. We are keeping level heads and keeping that excitement at bay until it’s signed, sealed and delivered. If we end up with this boat, the experience of sailing with the owner for a couple of days was invaluable. If we don’t end up with this boat, the experience was still fantastic and we learned heaps, so we are winners either way! The next step is our survey and sea trial. Now, I am sure plenty of you want to know what our offer was, what expenses are ahead and when our ASA sailing classes start. We will share all of that with our next few videos and articles…so stay tuned and we’ll see you then! Thoughts? Negotiating tactics? Favorite sailing apps? We love hearing from you so tell us what you think! You guys are our community of friends and have shared so much with us through this journey. Thanks for being here with us and for all the encouragement! Thanks to you and your post on youtube my brothers and myself have decided that we are going to buy a boat and do what you two are doing…. Right on! I hope we see you guys out on the water! Awesome videos! My husband and I think you guys are fabulous and we wish you safe adventures wherever your hearts desire! We will support your adventures by purchasing from your links and liking (and sharing) you sites! Hugs and happiness to you both ? Thanks a million! We appreciate your support as it is what allows us to keep sharing. Hello, first of all … we love your videos!!! A question: what is the app used in your iPad for navigation on your Catamaran? On every new post we try to link to items seen in the video. You’ll find details at the bottom of the page before the comments. Well hopefully sailing classes are going well. I was raised around Seattle area and that means boats of all types. If you get the ability to make it to the west coast next cople of years might check out the Seattle sea fair and the Christmas parade on the water that is a real neat show. Hey Stephen, thanks so much for the tips. That is just the kind of user experience info we were looking for. Really appreciate it! Oh, and that cedar plug thing blows my mind. It was the first time I’d seen a bilge pump, it looks like a tiny aquarium pump…not something that will keep a boat from filling with water in an emergency. It’s all learning process. Yall are such an inspiration to Kevin and I….getting ready to embark on our full time rv adventure! Love love love your tips and blog!!!!! Happy sailing! Hey Jason and Nikki! Happened across a very cool post about an island off the keys that seemed right down your alley. Fort Jefferson, 90 miles off of the key. Never heard of this blog but the photos are awesome and they seem cool. Just skippered a Leopard 46 for two weeks in St. Martin…did the same last year…private yacht. It is a well build boat and you guys will hopefully love it….what year did you end up with. Watched your survey..your guy was very good..which is exactly what you want…someone just like him..!!! I see now that yours is a 2005…ours was a 2006 but not an owners version…much nicer I think…especially if you are the owner !! Hey, we live in Port St Lucie and would enjoy an evening of adult beverages when you return up this way. Lots of good anchorages in the St Lucie river. We are also members of the st Lucie Sailing Club. If you are up here on the first Monday of the month, let us know and we will invite you to the club meeting for a “greet and grin”. Thanks so very much for sharing your adventure as I know all that video editing takes some time . We live in Marathon Fl and have plenty of dock space with water, power and wifi. So just look us up if you are in the area. We are also looking at leopards Power Cat 47 however sails do interest us. When do you have to return your test RV to the Fleetwood factory in Decatur, IN ? You should check out an app called Drag Queen for anchoring alarms and Active Captain which is a user input based resource for boating with lots of info on moorage locations, etc. We already have both of those! I am excited to start putting them to use! Hey I put a comment up yesterday and now it’s gone did I say something to offend you.What happened ???? Perhaps it didn’t go through? We didn’t delete it. Maybe try again. Good luck, looks like a great boat!! I am on pins and needles waiting to hear if the boat is yours! What a roller coaster! I am so happy that you had a good experience to override the bad. Every endeavor has its ups and downs, naturally. We have had bad boating experiences, but filed them away in our “learning” folder. There were so many more beautiful experiences, though. Waking up to a calm, glassy anchorage with a steaming cup of java as the sun breaks the horizon can’t be beat. We, too, slept like babies on the boat as the water lapped at the hull. Water is so calming to us both, but deserves supreme respect. The Schultes’ dealt with all manner of negativity from the boating community, but survived FOUR years of sailing on “luck” with naysayers nagging them to the bitter end. You’ll both do well, because I see the same “luck” in you as they demonstrate. Attitude and reaction account for so much. Sail away from the safe harbor….Explore. Dream. Discover. Awe, thanks for the kind words of support Tonya! We are excited and ready for the challenges and I am sure we will have a very big learning folder in no time. If you think you had maintenance on your motor home wait until you buy that boat .Been there done that .Salt water haul out fees. Bottom paint and on and on and on.But it is a beautiful boat good luck.You do know BOAT stands for Break Out Another Thousand.Happy sailing. You guys really rock . I’m so happy for both of you . Over the years it’s like your one of the family on a life adventure . I look forward to all your posts . Good luck with getting this catamaran , it looks like a keeper . Thanks so much! We love having you along for the journey! Wow! That’s a lot of boat without a lot of history! I would have recommended chartering one first, but what the heck! With a 22 foot beam, I guess you’re planning on being on the hook a lot. Practice raising and lowering that tender! Did I see a 30hp Honda on that tender? Nice car. Does she have a water maker? Will she be hauled at Derecktor’s for survey? 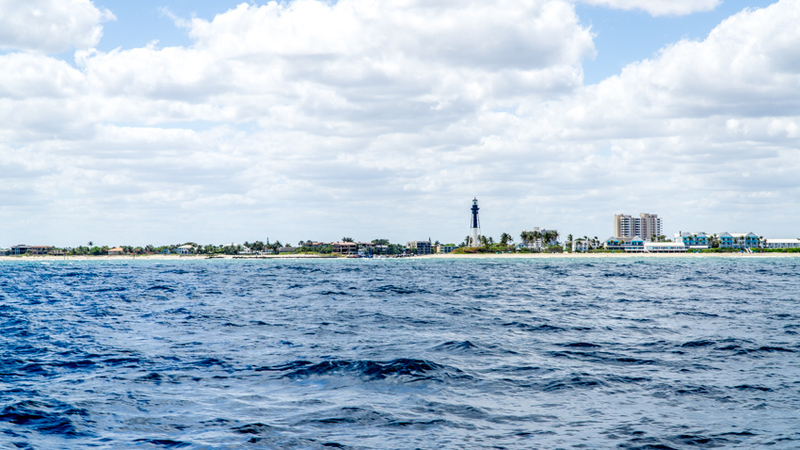 Bimini is only a daysail away. Something tells me you’ll soon be sending pics from Honeymoon Harbour! Have fun! You kid ar blessed to be able to enjoy life as you do. My wife are new to RVing with a new Winnebago view and have visited ten states over the last six months. But definitely not new to boats and sailing both fresh and salt. Had my first sail boat back in 1970 while in the Navy. Don’t know what your ultimate sailing dreams are, but if they involve deep water sailing I would stay away from cats. A good cabin cruiser can be battened down in a blow and pitch poled and will pop back like a cork. A cat will flip and stay flipped and guess what? You are trapped and drifting. If you have already bought your dream cat congrats!!!! Just think twice before that round the world jaunt. What a life!!! Looks wonderful – as long as your stomach is sea worthy! Sure look forward to your future sea adventures. So happy for you and your positive experience! Good luck and hope this boat dream comes true! Guys – just love your excitement! Makes my wife and I happy for you. Hopefully the survey goes well and you are shortly looking to the first night aboard your own boat. If only I could be your age again with the wind at my back and a dream in my sights. You make me feel young again. That is until I try to get up from watching you on my computer and my legs creak and my back pops! Nikki, I must ask the purpose of your tying that rope around the small red stick. Was it a knot tying practice for something? You said, “Tah-Dah!” so I figured it was something significant. I hope the sale of the sail goes as planned. I’m talking to the Universe on your behalf. Good luck! Congratulations on moving forward. Buying a sailboat is like any major purchase. If you like the design, layout and performance on and off the wind, and the boat looks OK – then you have to get behind the glitz and look closely at everything that cannot be easily seen – all mechanics and electronics; hull-to-deck joint and any other mechanical or chemical joints of components; thru-hulls; sealants on all windows, thru-hulls, deck fittings; corrosion especially between dissimilar metals – don’t forget all the fittings on the mast, the props and shafts; any blistering; stress fractures on the deck or hulls; gas fittings; fuel tanks and fittings; placement of handrails inside and outside; stanchion height and strength; servicing of windlasses and winches; sails and standing and running rigging – it only takes one broken shackle or a lost cotter pin to lose your mast. The Leopard has a good reputation for build and design. But the myriad of things to check is extensive. Remember The Offshore Cruising Encyclopedia by Linda and Steve Dashew I loaned you? Very best of luck as you move forward. Hi, Great videos and you two make them even better! As one adventure lover to another, I applaud your latest endeavor into the world of sailing. Your adaptability, curiosity, and love of water sports makes this a natural progression. As a sailor and yacht builder for most of my life, I have always tended towards mono hulls. I have experienced some extremely bad conditions at sea, and been front row for a death that was the result of poor seamanship and poor judgement. I encourage you to view the utube video on capsized Atlantic 57. Not to dissuade you, but the information concerning the cause should be invaluable to anyone owning a large crusing cat. From the limited research I have done on that incident, the cause can pretty well be summed up as bad seamanship. And the capsize occurred as a result of doing the one thing that can cause a capsize in a large cat. Please learn what that one thing is, and how to avoid it. And it’s always a good idea when underway to wear a PFD when working on deck. I am excited to see you are getting a well found vessel, as you will have your hands full enough learning seamanship without having to figure out how to get the vessel up to par. A small word of advise..you will be bombarded with all of the doodads and upgrades you can add to the boat..besides maintenance, don’t do anything but use the boat for a minimum of 6 months. During that time, make a log of what you like-don’t like, what you think you need-don’t need. I have witnessed too many people that buy a boat, then spend tons of money upgrading, making changes, without even giving what they have (that seemed to suit the previous experienced owner just fine) a chance. After 6 months, then assess your needs. One other thing..BEWARE..every person you encounter on the dock is a boat expert…not!! Learn, learn, learn, then take what they say and temper it with your own judgement. Remember, it is your life out at sea, not theirs! Have Fun!!!!! 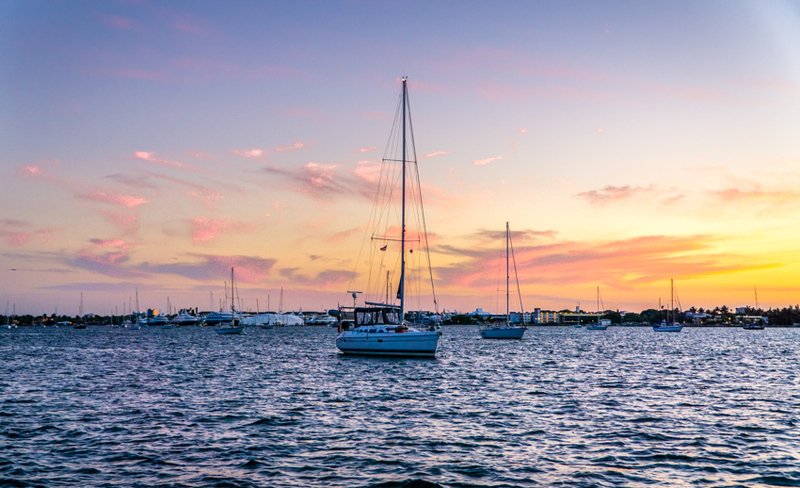 So relieving to hear the terms “planning” … the concepts of weather windows … “a properly prepared Captain and boat”… and other similar phrases woven into the tapestry of your new adventure, the awesome experiences and lifestyle that sailing can be. Without them, as you have discovered, sailing can and will become a thorny path to an unhappy outcome. Serendipitous opportunities are only within the grasp of the well prepared. Let planning become another new enjoyable exercise as you stretch your adventurous legs at sea and create contingency plans B & C. (save the spontaneity for your next time in a new port, after the yet to be named yacht is well at rest and secure at anchor! Fair Winds and a Following Sea..
Oh how I wish I lived in the States!!!. I hope I live to see the day when movement across our borders is easier for both Canadian and US citizens so that I can live the lifestyle you guys currently do. I would love to move down into the southern states to live/work. The warm climate is key for RV living. Congrats on the purchase and I look forward to seeing your new adventures!!! So many questions! Jason’s seasickness? Cat training? What happens to the RV? Will you stay just on the eastern seaboard, or will you come to the west coast (and how?). Congratulations, regardless of any of the answers!!! You guys picked the perfect days to sail. Its been very breezy the last couple of weeks here in south Florida(great for sailing). Good luck with the boat, I’m sure everything will come together and you’ll be full time cruisers very soon! Wow, that is soooo cool! What great luck! Being that I will be doing this solo, I am a bit worried about being able to fix malfunctions, such as what you experienced, on my own. How did You guys learn to sail/ repair boat stuff and can you suggest a way for a novice to learn? Thanks and fingers crossed for your offer! Hope everything works out on your boat. Be sure wear life jackets.Later on I will tell you about the time I was at british virging islands little dix bay and got cauight in a squall and it was so strong the sail pole broke in two.I said my good byes and my prayers.Lucky wife of the pilot got the sails down and the motor got us into an outlet and we waited out the storm. I have been inspired by your RV posts to venture into full-timing when I retire next year. I will be relocating my “permanent address” to my father’s house, which is just 3 houses north of the inlet you entered to anchor in Lake Worth. Small world, right? Heh. We also just bought a boat, in addition to our Airstream. I am not quite ready to make the full-on switch (we’re still planning a big overland adventure) but when the opportunity arose to purchase a Jenson Marine Cal 30 at a “I need to sell this boat now” price, we wrote a cheque and called it good. The Jenson is smaller by an order of magnitude than your cat, but it will allow us as a family to get back into sailing – and who knows what the future holds. Maybe the Airstream will find itself stored away and we’ll be living full time on a boat. It’s good to have options. All the very best in your new adventure. Good luck on getting the boat guys! Also, you should get Jason some Seaband Wristband’s, they helped me a ton when i was on a cruise and got super sea sick. Best wishes…. WOW, what a difference. Some days are diamonds and some days are stones. Looking at Nikki, I would say that diamonds are a girl’s best friend. 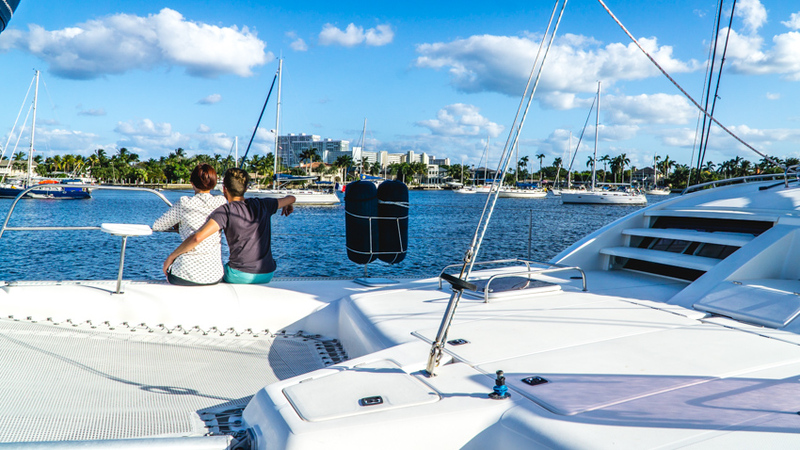 Having the owner of the boat show you “how to” is worth a lot to a new boater. Looks like you are smooth sailing toward your next adventure chapter. Please, please, start wearing a PFD. The sospender style are easy to get used to. I’ll stop preaching now. I am so happy for you. Champagne is on me when and if it happens ’cause I know the boat cost is going to do you in. 🙂 I hope those dreams come true! Love you! Any market for skilled sailor/photographers to do live action video for sailboat marketing? Ok I am sure you’ll do a haul out, expensive but a must. Have your surveyor do a thorough examine of the hulls for blisters. Fiberglass will absorb water and blister, read up on this. It’s not uncommon to find some, the older the boat the more you may find. They can be repaired but $$$$. We are in New Orleans for Jazz Fest then Key Largo 5/1. Would love to see your new ride! Not up to snuff on the terms, when you guys get a chance can you go over exactly what a survey and sea trial encompass? Glad you met up with john after the misguded sheldon experience. Will keep my fingers crossed for you. Just remember with the boat name, when someone calls, they say your boat name 3 times, then theirs. Make it something easy to work with or easy to say. I am so excited for you my classy, young seabound hobos! You definitely could write a book on “living the good life”! Looks like a LOT of work to me, which is all the more reason to do it while you are young! I adore you two! OH MY GOD!!!! I’M SO HAPPY FOR YOU GUYS!!! How wonderful! That was the best video ever! I KNEW as soon as the owner met you he would be on your side! Can’t wait to hear about the upcoming adventures!! Gonna party like it’s 1999!! So excited for you guys. What a difference a good teacher makes!! That is how it is supposed to go, congratulations! Wishing you both the best with the negotiations and the details of getting the boat. It’s all just details once you find the right one. you guys are glowing, you look so happy. The captain looks amazing, good for you guys. fingers crossed all goes well and we get to start seeing some crazy adventures. I bet you guys are geakin out with all the new stuff to shoot. awesome. I live vicariously through your adventures. So much better than Your last experience. I sailed back in the 70’s. No apps. Looks like much more fun now. Much more information to make the experience more enjoyable. Enjoy the journey. This looks like a fun adventure. Best of luck in the sea trial and classes. I like the “where the Wynns blow the adventure will continue”…. Or something like that…. My fingers are crossed that you get this boat. It looks well taken care of which goes a long way. You both look so excited. Best of Luck! I spent a a number of years at sea on a cargo ship so I am afraid I am not going to be following your sea adventures. But best of luck. Wow, I have dreamed of doing jus what you are doing. OMG – you guys are fabulously inspirational. We start our RVing life in a month and am going to take all the issues that may come up in stride. Just like you’ll. Congrats and yes fingers crossed. Will there be a new name for the new transportation method…Wynns on the Water? We are rooting for you as the new owners! Congratulations will soon be in order. We are so excited for you to start your next journey on the high seas. Love the group of sailors on the dock watching you leave. Reminded me of the old time RV’ers who will watch you pull into your tight spot and hook up. Smiling and friendly but having their own little inside chuckle. I trust your survey and sea trial will go well. Looking forward to sailing…virtually with you. How about a tour of the new boat? After reading about your experience with Sheldon, my first thought was, who takes rookies out in an boat that is not seaworthy. Highly irresponsible!! Not the action of a competent and responsible skipper. Fuel filters rusted on and taking the boat to sea??? That is nuts. Be careful with who entrust your lives to… I am so happy to hear your next experience was with a “prepared” captain and a seaworthy boat. Sailing is a beautiful way to experience the planet. Boat people are very similar to RV people… instant camaraderie of shared experiences known only to the people who live it. I hope this boat works out!!! Exciting times! Fair winds and following seas for the Wynns. hope it works out for you! and hope you didn’t have to go too much in debt to get that boat. I loved this video, because even though I now live near Knoxville, TN, I grew up in Lake Worth, FL, where you anchored for a night. Also one of our daughters lives in Jupiter, and the lighthouse there is a beautiful landmark. I envy your excitement over your new life on the sea! Just be safe. They say the happiest moments for a boat owner is the day you buy the boat and the day you sell the boat. I found that to be true for me. Positive thoughts coming your way for this deal working out. Love it. Good on you guys for going after your dream. Life on the water is heavenly…with a dash of hell!. Alright you have just experienced one of the two happiest days in a sailors life. Hey there Nikki and Jason! Congratulation and nice work! I live just north of where you are at in Ft. Lauderdale right now. 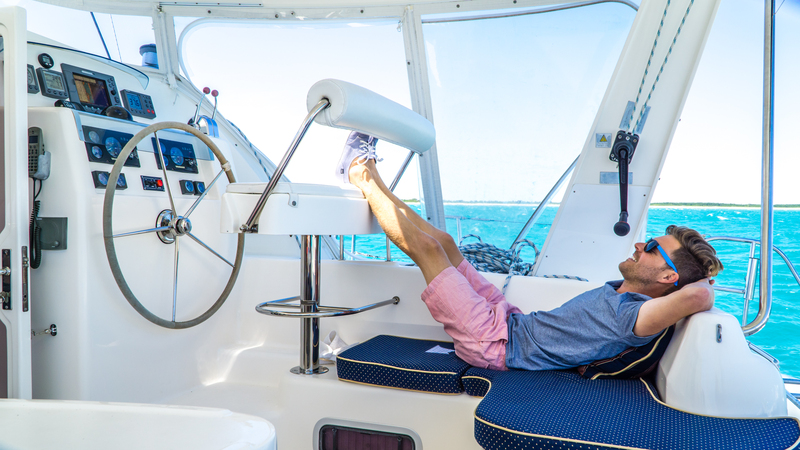 Does your new catamaran have an A/C? If so, it has about a 98% chance of having a thermostat control manufactured by us here at Micro-Air (since we pretty much own that market). If so, let me know and I’ll come by this weekend and install your free EasyStart and give you one for your RV to finish that job too! I’ve got some sailing friends who live aboard a 41′ Morgan down the intracoastal and New River from you. They have been sailing for many years and would be thrilled to help you out as well. Send me an e-mail! We are now at Just Catamarans for a few days, then we’ll be returning for two weeks on June 1 for service. 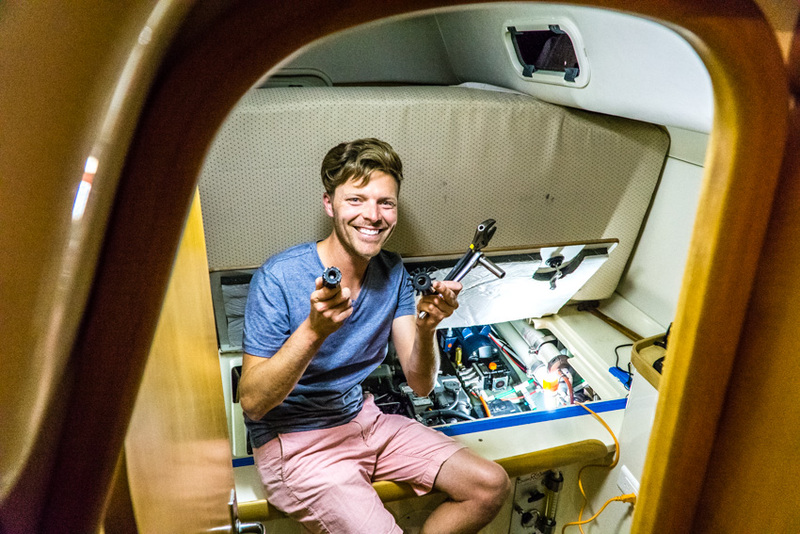 We’d love to film a video about the soft start and running our new Sailboat AC using our solar and Lithium batteries. We’re looking forward to living on the hook AND being able to run the A/C to keep it cool and help lower the humidity levels. Best of luck and keep the videos coming. Living the life on your terms – fantastic! Good luck on the survey, hopefully no major problems found. Am sure we will see you in BVI and all points around. Have either of you taken any sailing courses? We are set up with an ASA school and will have a captain aboard for a week soon! We can’t wait! Hold the phone! Now you can turn your motorhome into a houseboat! How about a Rollerboat? I just started watching your next adventure on the cat. It looks like you will have fun. I did see what appears to be an area that you still have room to grow in though . . . 🙂 See this page for the “correct” way to finish a cleat hitch. When the line that is hitched to the cleat gets a load on it and you need to unhitch it, you’ll be glad that you finished the hitch correctly! And if the cleat hitch is finished correctly it also helps to keep the line from becoming unhitched accidentally from being moved around by wind and sea (and peoples feet on the dock too). So happy and excited for you guys! Can’t wait to hear more! Good luck with the survey. It was a GOOD thing you had to replace the impeller — with John there to show you how to do it and to have the parts handy. Count yourselves lucky! I am so excited for you! And it looks like you are also so excited; THAT is why we enjoy your posts so very much. Just a thought: By now (April 21) you may be the owners of a beautiful Cat (fingers crossed) and if that’s the case let me be the first to say: CONGRATULATIONS! Wow! Congrats! She is a beauty. Hope all goes well with sea trials and contracts. We were out on the Indian River near Cocoa Beach Merritt Island this past weekend and the weather did get a little rough. Glad this trip was a bit easier. What will happen with the motorhome once you transition? Congratulations on (probably) your future new home! Looking forward to more videos and the future adaptations on the boat (solar, technology, etc). Keep them coming! Crossing all paws and fingers that this deal will come through for you! Success!!! What a difference a few days make!! I wonder how the cats are going to transition (seasickness etc) to life on the sea? Do you have any concerns that one of them might jump overboard? I know you have one cat that appears to like to stay put but your other cat seems pretty adventurous. Hopefully he doesn’t attempt anything crazy. You may have to strap him into a little kitty life vest! Love the videos, you two are so fun to watch, you’re both grinning ear to ear. Is this the boat that you looked at awhile back, but was over your budget? Do you have to take the motor home back to Fleetwood in Indiana? I’m surprised you don’t wear some kind of PFD. I know there’s a lot of moving around on a sailboat, especially when setting the sails, is there railing around the boat, to minimize the “falling overboard” ? Really happy for you both. Looking forward to more videos. Awesome! I am so happy for you guys. Talk about a change of fortune. I guess you’ve gotten to see both sides of the same coin. I hope everything goes well with the survey, sea trials and such. I’m looking forward to following your new adventures. Awesome boat & owner! Woo frickin’ hoo!!!! Fingers crossed for this to be the one! Wait….what happened to the RV? I have that same exact knot tying kit! I still struggle with the bowline though, especially under pressure 🙂 All the best with the sea trial and survey. Exciting news woo hoo! Hope it all comes to fruition for you, even if this isn’t the boat for you.